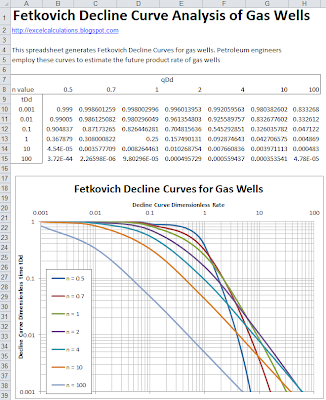 This Excel spreadsheet plots Fetkovich decline curves for gas wells. Decline curve analysis is an empirical procedure that predicts the decline in production rates of gas and oil wells. Fetkovich (1968) improved on earlier work by Arps in predicting the declining production rate of oil and gas wells. He suggested that experimental production rate data could be overlaid on a graph and matched to a series of type curves. The production rate is then extrapolated into the future with the assistance of the curves. The Excel spreadsheet reproduces the plot given in Figure 8 of the following reference. 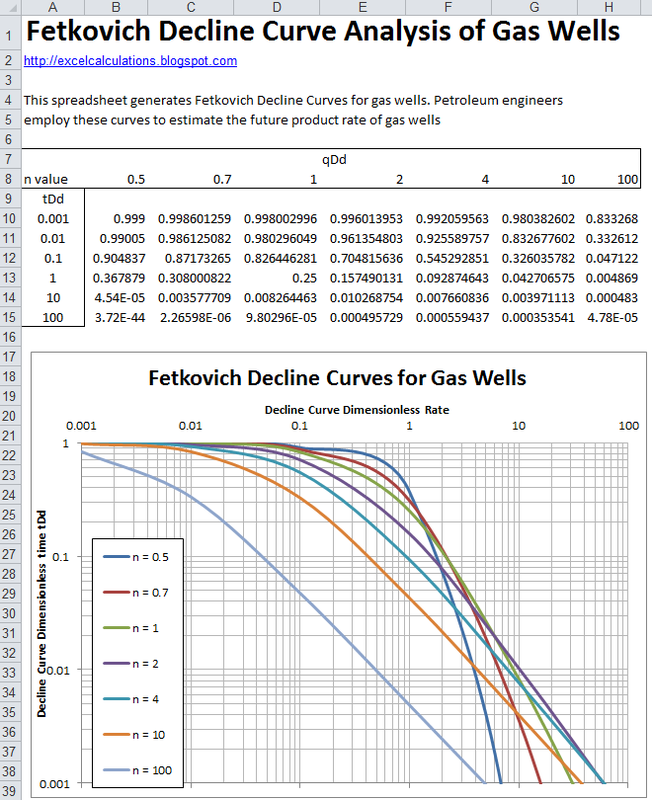 Fetkovich, M.J., "Decline Curve Analysis Using Type Curves", Journal of Petroleum Technology (June 1980) 1065-77. 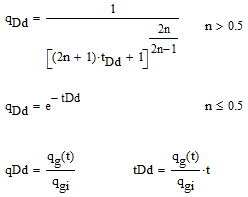 The decline curve rate-time equations are given below. your sheets are very useful in preliminary design calculation. but can you tell me how to find shell diameter of shell and tube type exchanger. provide me answer with example.